The main thing people remember about TV shows are their iconic casts. If there’s no chemistry between the characters, it isn’t a show worth watching. Audiences today still have warm feelings toward TV shows of the past because the casts worked so well together. If any member of a show doesn’t give it their all, the whole thing will fall apart and viewers will lose interest. It requires a lot of work and dedication to become a hit TV show, and these casts figured out how to make it happen. 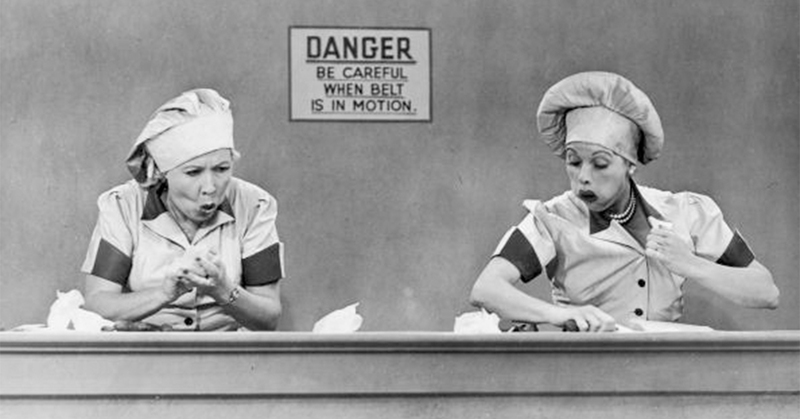 I Love Lucy is considered one of the top classic shows in television history. This sitcom lasted from October 15, 1951 to May 6, 1957, while also continuing on with a few spin-off shows. It followed Lucy Ricardo, a housewife to a Cuban bandleader, who always seemed to get herself into some kind of trouble. There were also a couple of wacky neighbors who went along with the shenanigans. The cast of this show is revolutionary because it featured a woman starring as the lead and included an interracial couple. All of the actors made their scenes look effortless and set new standards for the industry. Although it only lasted one season, The Honeymooners had quite a memorable cast. The show aired between 1955 and 1956 and it included a New York City bus driver, his wife, and their married best friends. It dealt with the bus driver’s day-to-day dilemmas, but also touched on topics such as women’s rights and other social issues. Audiences were able to relate to the cast because they portrayed working-class couples that had a less than ideal living situation, but seemed to make it work. 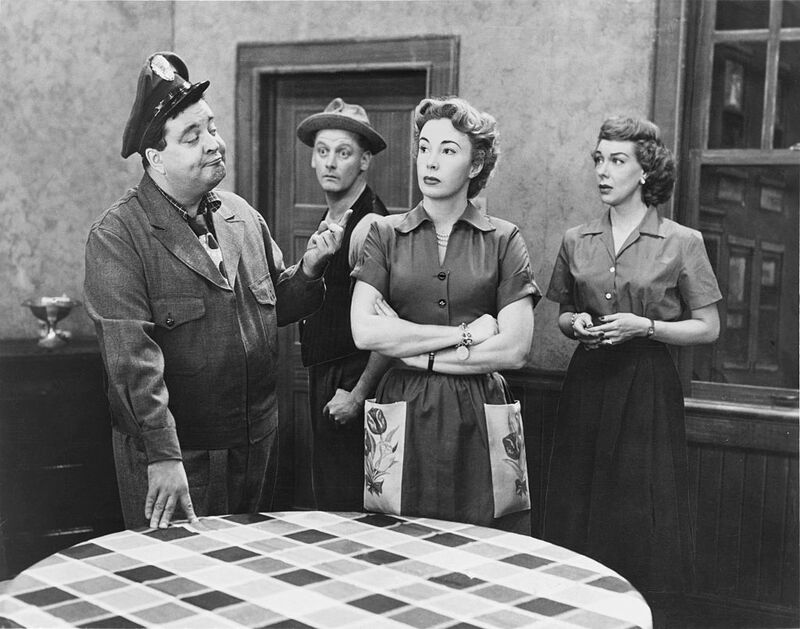 After the fanfare of I Love Lucy, The Honeymooners was regarded as the best domestic sitcom. Moving into the 1960s, sitcoms tended to start straying from the typical domestic husband-and-wife storyline. 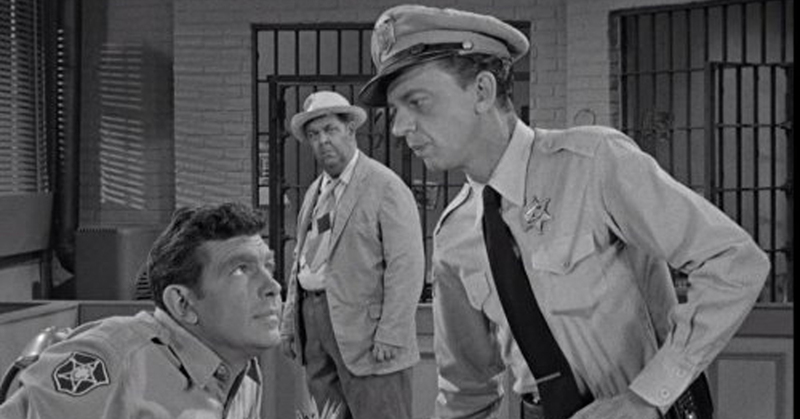 The Andy Griffith Show was something audiences hadn’t seen before. It starred Andy Griffith playing a widower sheriff in a small town with his son and aunt. Barney Fife, the neurotic deputy, was added for some comedic relief. This nostalgic show received record ratings for a myriad of reasons. Andy served as the center of the show, whereas the other members of the cast were used to stir up dilemmas that he had to solve in unique ways. The unique way the characters worked together and connected became the heart of the show. As the 1960s continued, the country was introduced to a TV family unlike any other. 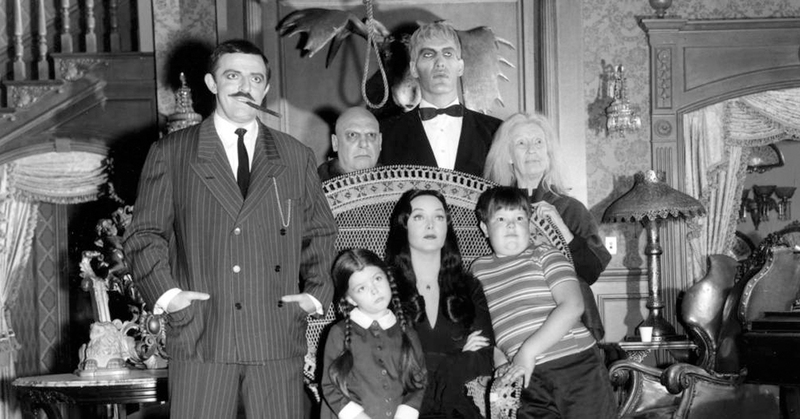 Based on the characters from a New Yorker cartoon, The Addams Family consisted of a supernatural extended family that constantly clashed with the rest of society. The characters alone are enough to create a great show, but they were careful to cast people that could believabl play characters that could never exist in the real world. The writers adapted this show to be three dimensional by having the monster-like characters mirror a typical American family. Did this TV cast make it off the island? Color TV sets were now becoming more common in homes, so creators were thinking outside the box to what they could make. 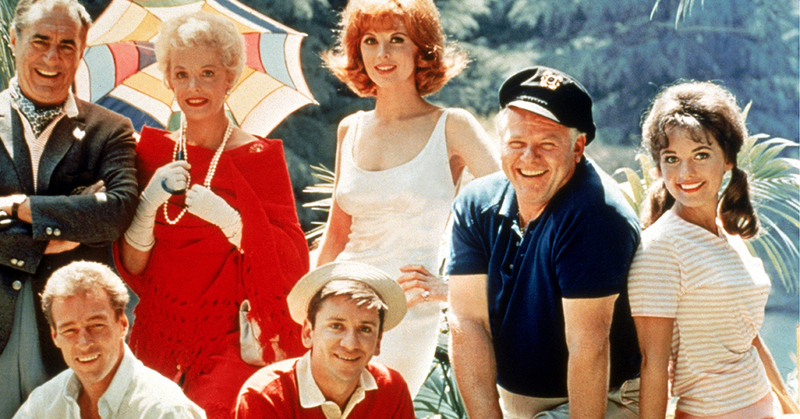 The 1960s welcomed Gilligan’s Island, which was known for its unique ensemble of characters. It dealt with them being shipwrecked castaways trying to leave the remote island, but never making it off. The show always had solid ratings for its slapstick comedy style. All the characters were polar opposites of each other, but the way they worked together for a common goal charmed audiences all over the world. Even the reruns are popular today. America approached the 1970s with a new attitude about many previous societal norms. Divorce was on the rise, so American TV started to reflect new family structures. 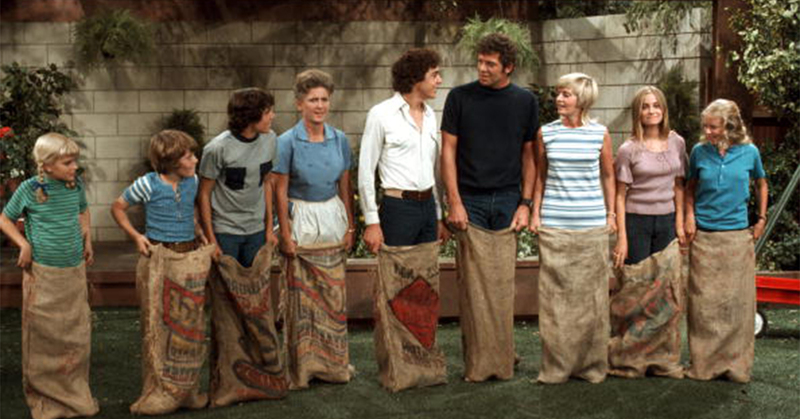 The Brady Bunch followed Carol, with her three daughters, and Mike, with his three sons, getting remarried and becoming a blended family all with the help of their maid, Alice. Sherwood Schwartz, the creator of the show, wanted to find children who actually acted like children and who weren’t fazed by Hollywood. The cast was able to bond a lot off camera, so their chemistry on screen made it seem like they actually were a real family. 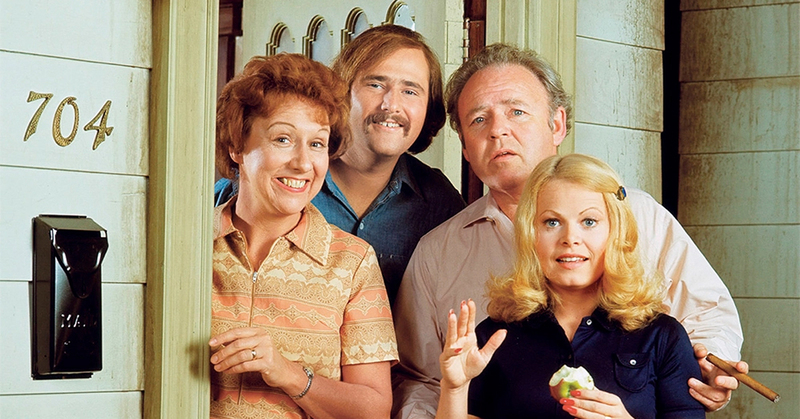 All in the Family is probably the exact opposite of the previously mentioned The Brady Bunch. The lead character, Archie Bunker, is a loudmouthed, uneducated bigot who draws on stereotypes to show his perspective of the world. He lives with his aloof wife, Edith, their daughter, Gloria, and her husband, Mike as a working-class family. Archie clashes with everyone he meets, and the rest of the cast is there to challenge his beliefs. The audience follows Archie’s character development as he navigates relationships with his family and other members of his neighborhood, who help him to realize his mistakes. In the 1970s, the television world was doing things that would not have been approved 20 years prior. Having a whole TV show dedicated to people of color was something new for audiences all over the country. 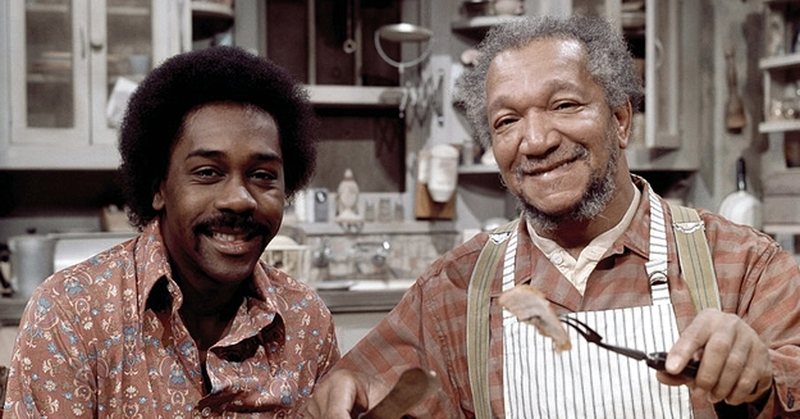 Sanford and Son was called the precursor to the many African American-focused shows that followed. The father and son duo were opposite in their way of thinking about the world, but would usually put themselves into “get-rich-quick” schemes to pay off debts. The loyalty and bond between the two main cast members earned them a highly-rated six-season run. 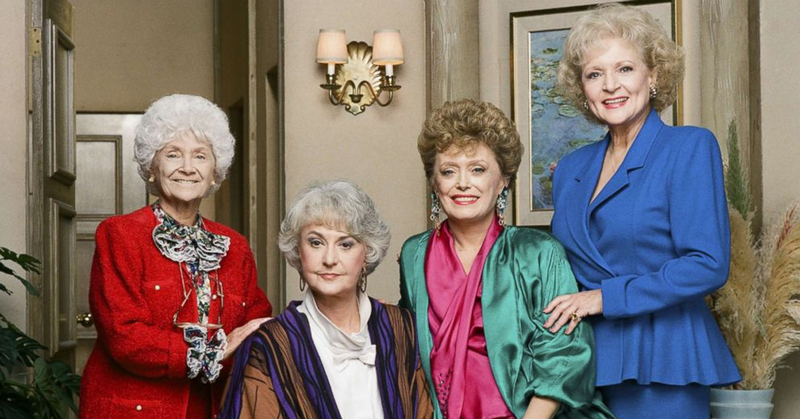 It’s uncommon for women in Hollywood to find rewarding roles after a certain age, but The Golden Girls was there to up the standards. It lasted an impressive seven seasons from September 14, 1985 to May 9, 1992. The cast consisted of four mature women living in Miami during their golden years. Like most sitcoms, the characters all had their signature traits, but were always there for each other. It’s a show about aging that wasn’t and still isn’t anything like what’s on TV. The way that the ladies handled current issues as a team, combined with their witty quips, makes it one of the best casts in TV history. As the 1980s progressed, TV networks were looking for shows that had uncommon, but wholesome concepts. 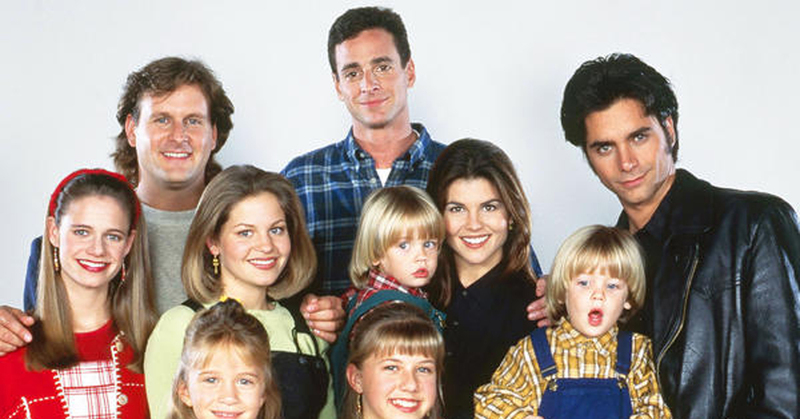 Full House premiered on September 22, 1987 and lasted for 8 seasons, or 192 episodes. It consisted of a father, Danny Tanner, who has help from his wild brother-in-law and comedic childhood friend to raise his three daughters after their mother passed away. Audiences fell in love with the cast almost instantly. The show owes most of its high ratings to the Olsen twins, who shared the role of Michelle Tanner. Whenever a cast member had a scene with one of them, it was met with instant laughter and warmth. It’s becoming a lot more common for TV shows to cover a previous era. 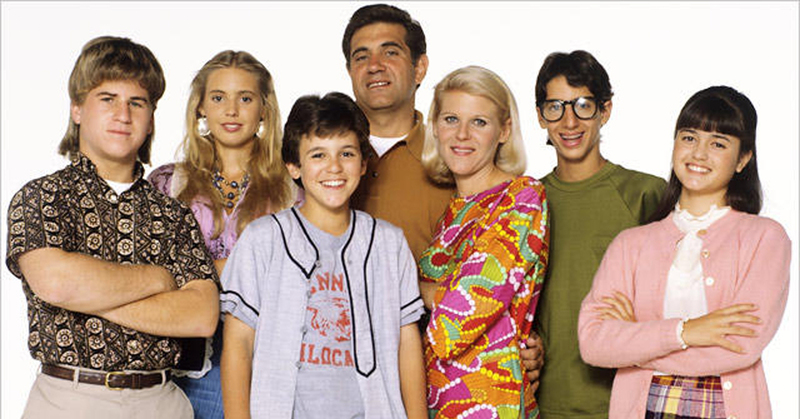 The Wonder Years was filmed between 1988 and 1993, but takes place in the late 1960s and early 1970s. The protagonist Kevin Arnold’s story is told through his older self narrating what his life was like as an adolescent boy during Vietnam-era America. One reason the cast is still considered to be one of the best over 30 years later is due to the universality of each storyline. The show deals with harsh topics such as first love, heartbreak, war, and death, and the actors’ portrayals are realistic and relatable. The 1990s brought in a lot of new changes for TV. Many more shows included an all-African American cast that were breaking stereotypes. 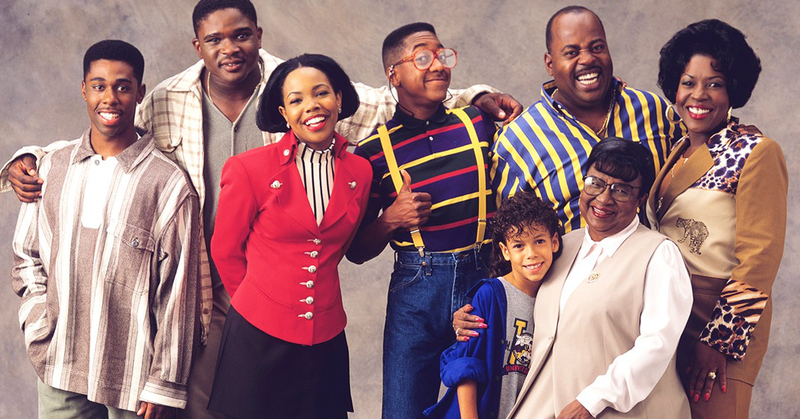 Family Matters centered around a police officer, Carl Winslow, and his extended family living under one roof in Chicago, almost always being pestered by their nerdy next-door neighbor, Steve Urkel. It was one of the longest-running African American-focused sitcoms mostly thanks to the bizarre character of Steve Urkel. His popularity with audiences reached new heights. While it left some tension on set, Urkel was ultimately there to bring out the best in anyone he met, even if it meant some accidents on the way. Boy Meets World wasa staple of the 1990s. The cast grew up on screen, with all of America watching. The show’s main focus was the adolescent, Cory Matthews, dealing with his school, friends, and romance along with his best friend Shawn, true love Topanga, and wise teacher Mr. Feeny. Its main audience consisted of tweens and teens who were going through the same things the characters did, allowing them to gain insight from the realistic issues. Each character had distinctive personality traits that made them likable, but when they shared scenes they just fit well together. 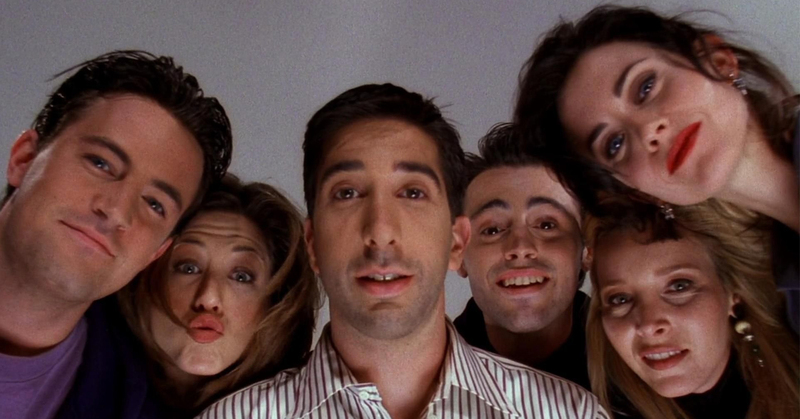 There are very few shows that can define a decade, but Friends is one of them. It even lasted a decade (1994-2004). The episodes depicted six friends living together in New York City and followed their comedic, romantic, and career adventures. A lot of the best writing on the show was due to the incredible performances by the actors. Their different, but talented, styles of acting helped them mold the characters into how they wanted to play them, versus what the writers initially intended. Many critics gave kudos to the writers for their impeccable scripts and the actors’ spirited performances. See how TV shows have changed since entering the 21st century! The United States was approaching the new millennium, and that meant there were more shows on network TV than ever before. While it only lasted 18 episodes, Freaks and Geeks took viewers back to 1980 with a nerdy brother and his newly-rebellious older sister and their friends in high school. It’s also has a rare 100% rating on Rotten Tomatoes, mainly due to to the real-life adolescent characters who embrace growing up in an honest way. When actors can portray realistic situations in a genuine way, it gives the cast more depth and emotional maturity. Before the 2000s, it was rare to see a family that didn’t get along with each other or for parents to raise their voice to their children on screen. 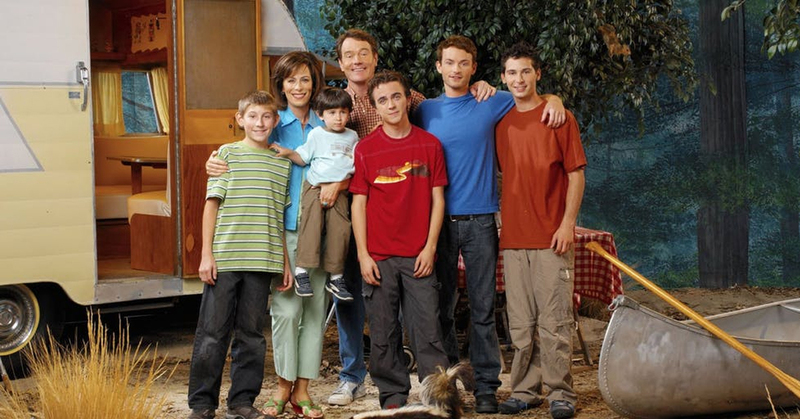 Malcolm in the Middle set out to completely change the standards of the typical American family. Each member of Malcolm’s family is messed up in their own way, but the dysfunction of the working-class family is what makes them have emotional depth. The dynamic of an almost all-male cast makes the character of Lois, the mother, come on a lot stronger. She’s well aware that the family’s well-being is in her hands, and Malcolm is there to navigate the chaos through his narration. 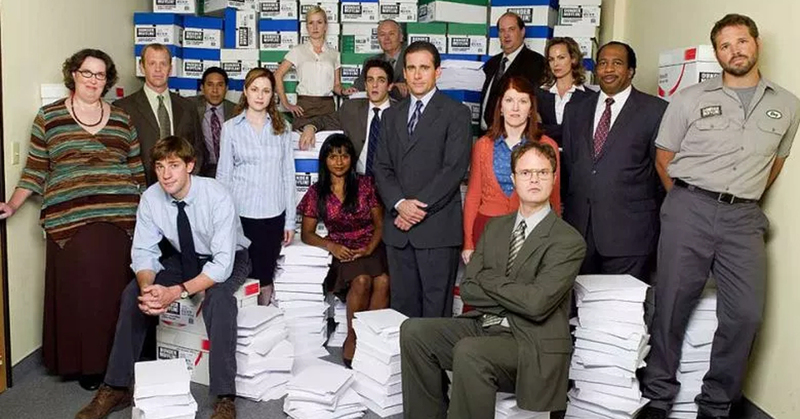 Although it originally began as a British show, the American version of The Office is regarded as one of the best TV shows of all time. It premiered in the mid-2000s and ran for 9 seasons. The mockumentary-style sitcom features the staff of a Scranton paper company, Dunder-Mifflin, throughout their day-to-day high jinks and comedic dilemmas. The ensemble cast of The Office inspired many shows afterward to adopt a similar method. Many characters have absurd and over the top traits, but they are done in an inventive way thanks in part to the genius actors and clever writers of the show. 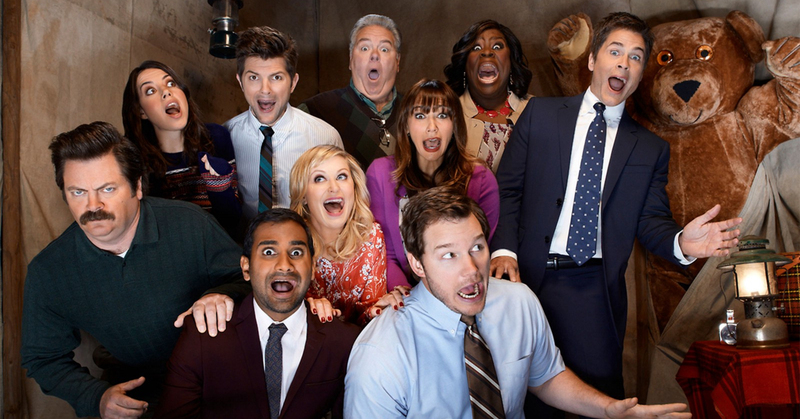 It’s common for Parks and Recreation to be compared to The Office due to their ensemble work-place comedy themes, but Parks and Recreation can stand on its own in terms of originality and a talented cast. Amy Poehler stars as the protagonist, Leslie Knope, who works at the Pawnee Parks Department with her zany co-workers, each with their own signature character traits. The New Yorker praised the cast for their openness to emotion and their honest take on difficult feelings, even as a sitcom. The show’s writers tailored the scripts to fit the actor’s personal characteristics and performances, and it’s clear that the cast as a whole works well together on screen. Something that Glee did that most shows hadn’t really tackled was that it featured multiple musical numbers in each episode. 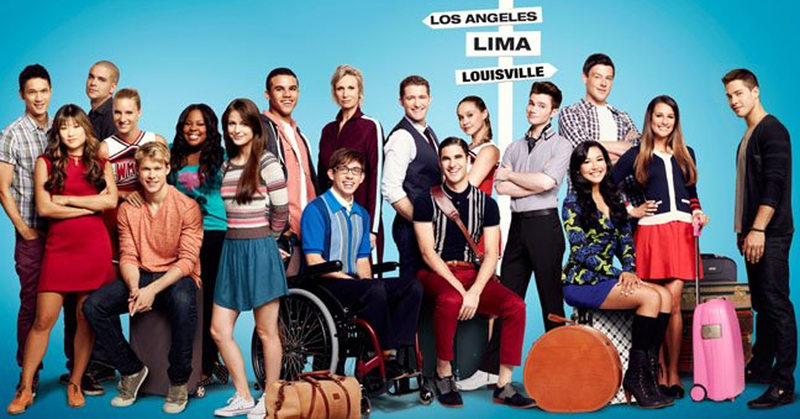 The setting of an Ohio high school glee club with an ensemble cast who could sing, dance, and act made Glee a show unlike any other. Since the cast was so large, there was a character for anyone who watched the show to relate to. This was one of the first sitcoms to take on current issues such as homophobia, sexual abuse, bullying, eating disorders, and hundreds more. The contemporary show connected with people all over the world, with an authentic and talented cast. In present day, there are countless shows to watch on various platforms. Brooklyn Nine-Nine first aired on September 17, 2013 and is still running today after switching to NBC after Fox initially canceled the series. 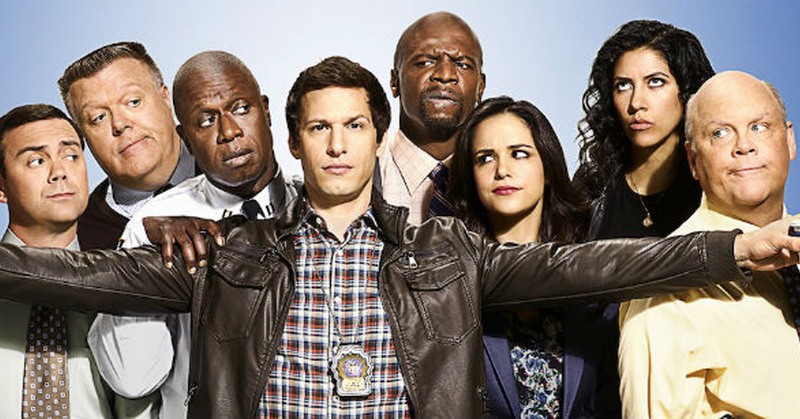 This workplace comedy is centered around Detective Jake Peralta and his co-workers at the NYPD. The large ensemble cast creates a comedic, yet heartfelt tone. The characters tend to get into mischief one way or another, but they are always there for each other no matter the circumstances. Many reviewers owe the success of Brooklyn Nine-Nine to the cast’s undeniable chemistry, trademark compassion, and eloquent humor.